A rich brightening lotion that softens skin as it exfoliates surface excess cells and reduce uneven skin tone and dullness. Ensures smooth, evenly luminous and perfectly radiant complexion. After cleansing, saturate a cotton pad and wipe gently over face. I hauled last month like crazy from Shiseido and got many samples of the softener and emulsion. It take a small amount of softener and apply it after cleansing. Its kinda watery liquid which easily gets absorbed into the skin without leaving any residue. 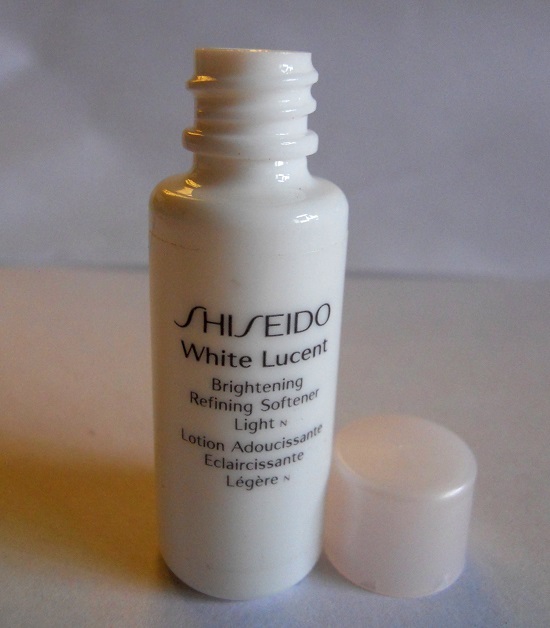 I use this in conjunction with the moisturizer from the same range ( review coming soon :D ). My skin was quite dull due to acne medication but after using this for a month regularly twice a day; I have noticed a visible brightening effect (not to confuse with whitening :-P ) in my complexion. It doesn't make my skin oily or sticky and also takes care of the occasional dry patches. Its helps in better absorption of serum/moisturizer. With many toners I have experienced stinging sensation and my skin used to feel stretchy but this one makes my skin soft to touch (duh that's why its called softener :-P ) nor does it sting. Yup definitely its one of the best toners I have used and I am going to soon buy the full sized bottle. :e I know the price is steep but I prefer splurging on skincare than makeup. If your skin is in perfect condition you will glow without any makeup! :angel They even have travel sets so if you are not sure can you try out those before making up your mind. 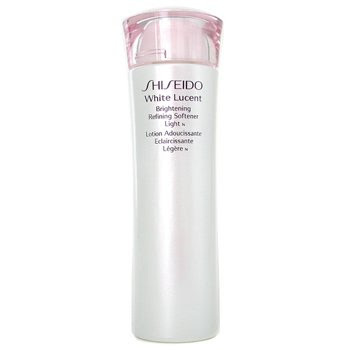 Have you tried Shiseido White Lucent Brightening Refining Softener? I am soooo getting this!! I stopped using toner coz of stinging sensation and stretchy feel they gave :( But is there a variant for dry combination skin? saare samples mujhe de de..:mj i want to try enrich one.. When someone writes an post he/she maintains the image of a user in his/her mind that how a user can be aware of it. So that�s why this post is amazing. Thanks!